Course Website: Official Website - Visit Ironbridge Golf Club's official website by clicking on the link provided. 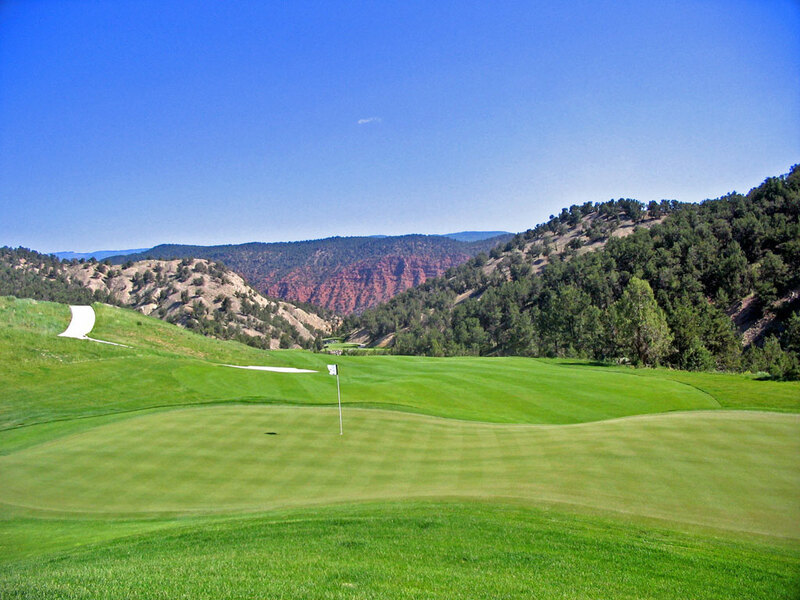 Accolades: Ranked 7th in Colorado on Golf Course Gurus' Best in State list. What to Expect: Ironbridge feels like three different totally different courses all wrapped up into one. 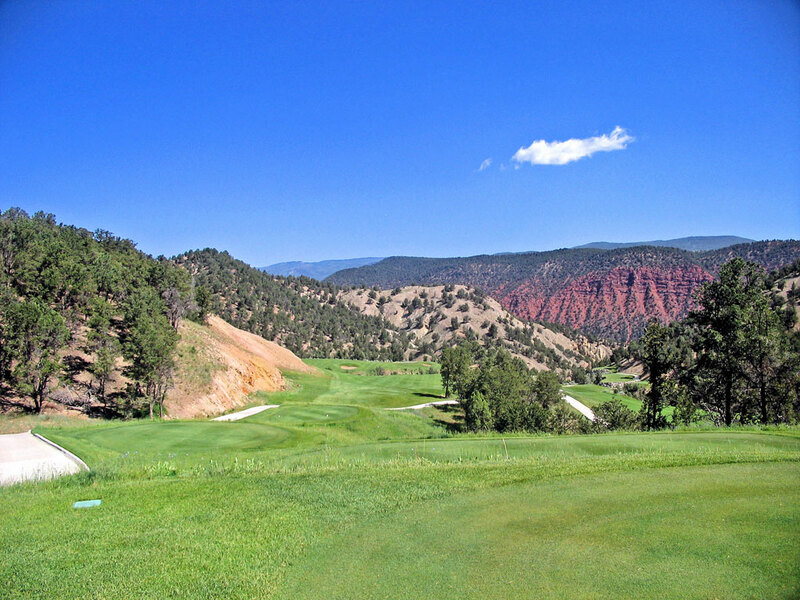 The front nine plays like a meadow course featuring flatter terrain and several water hazards while the final five holes play along the mountain edge and out along the river. 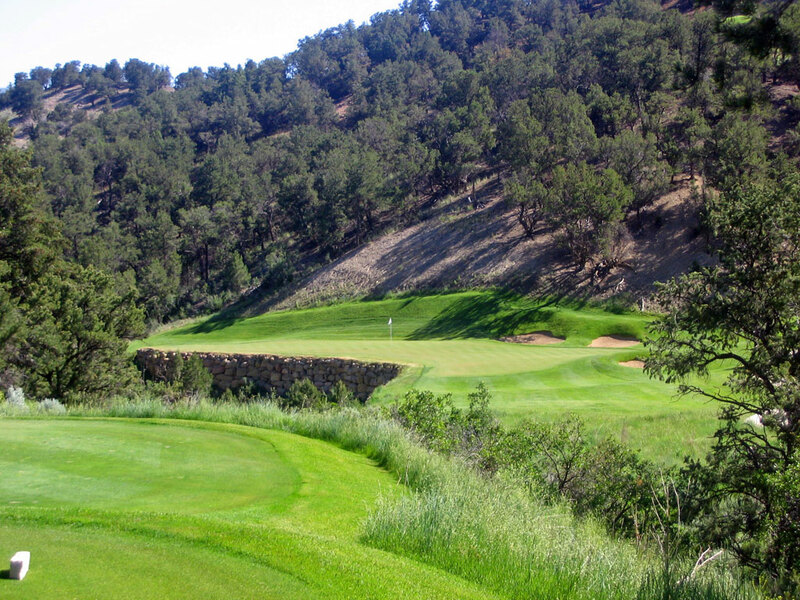 But the highlight of the course is the dramatic 10th - 13th stretch of mountain/canyon holes. 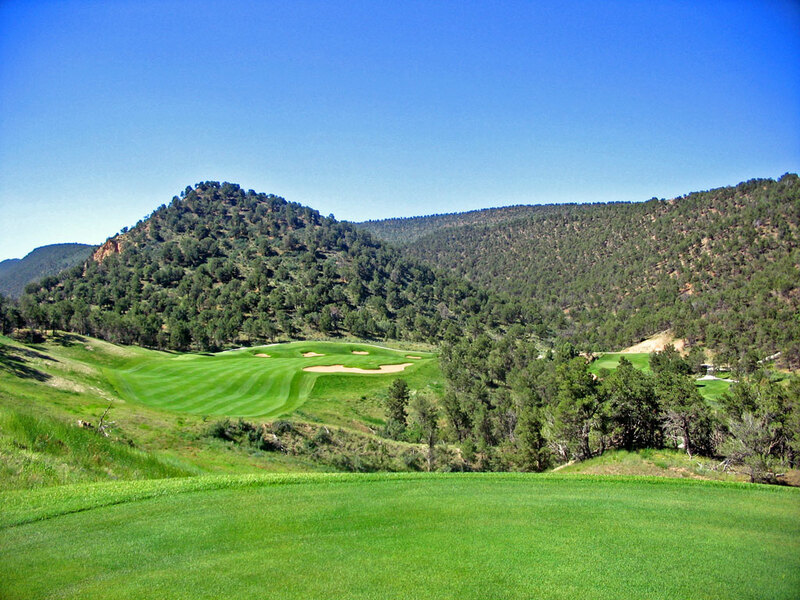 After a 2-3 minute cart ride from the front nine to the back, you climb up the mountain to play some holes that provide the same spectacular feel that Wolf Creek in Mesquite does. The conditioning at Ironbridge is second to none and the membership is one of the best deals in the country with no initiation fee and monthly dues starting at $200. My only gripe with the course is that the routing could just have easily let holes 10 - 13 be 15 - 18 to provide one of the most impressive finishes in golf. Signature Hole: 12th Hole – 435 Yard Par 4 – While Ironbridge's website credits the spectacular 621 yard par 5 13th hole as the signature, I've got to go with Arthur Hills' dramatic 12th hole as Ironbridge's best. Dropping 100 feet from tee to green, this 435 yard par 4 requires precision off the tee to avoid the six bunkers hovering around the landing area. Distance control is the key on the approach shot where a deep ravine front the wide, but shallow green. Best Par 3: 11th Hole – 161 Yards – Picking the best holes at Ironbridge is easy because they are all consecutive and are totally unique to the course and area. Ironbridge has some solid par 3s that have some nice water features, but the overall setting and placement of the 11th hole makes it the best. With a rock wall holding the green from falling in the canyon below, a back left pin placement can cause some trouble as the canyon lies in wait for any ball not stuck with precision. Safety is found in the front right portion of the hole where a landing area is offered but a series of bunkers also awaits. This hole provides a fun preparation for what awaits. 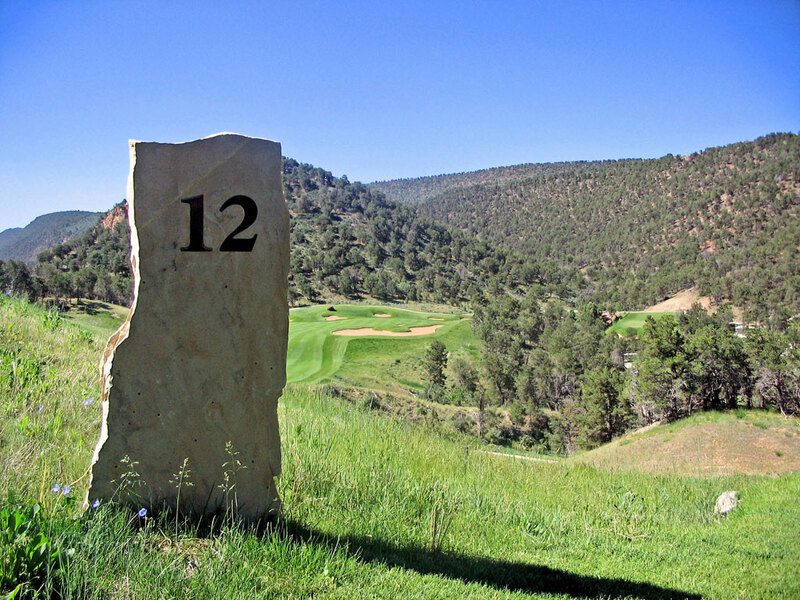 Best Par 4: 12th Hole – 435 Yards – Many great holes feature a single shot that provides drama for that hole. For Pebble Beach's 18th hole it is the stunning tee shot over the rocky coast where drama unfolds, on Pebble Beach's 8th hole it is the breathtaking approach shot from one cliff edge to the other over the Pacific Ocean that makes the hole so amazing. However, the 12th hole offers the rare combination of an exhilarating tee shot and a climatic approach. Take aim at the large bunker on the inside dogleg and bomb away from this elevated tee box making sure not to slice it into the gorge along the right side of the hole. 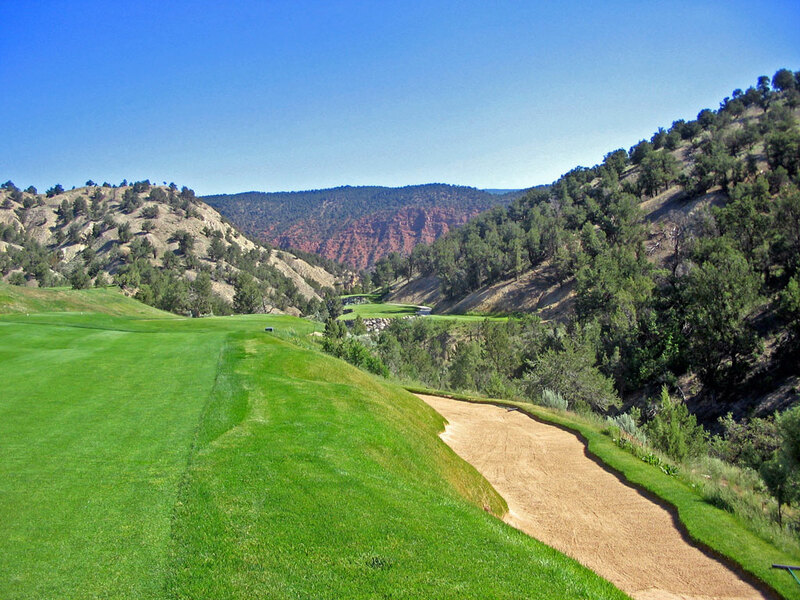 The approach shot is challenging as it requires a forced carry over a deep ravine to a wide, shallow green. This hole is nothing but pure fun to play! Best Par 5: 13th Hole – 621 Yards – The 13th hole at Ironbridge is a great risk/reward type hole that really encourages taking the risk. Swing away with your driver as the fairway is more generous than appears from the tee, but the big decision on this hole is when to cross the ravine that dissects the hole. With your 2nd shot you can carry the ravine to the elevated fairway in hopes of not finding the pot bunker of 50 yard long bunker short of the green, or you can layup to the fairway down the right side of the hole and leave yourself about 160 yards to the hole with the 50 yard bunker directly in your path. No matter what decision you make, you won't soon forget the drama and options this hole offers. Birdie Time: 7th Hole – 362 Yard Par – While the 504 yard par 5 17th hole certainly provides golfers an opportunity to score well, carding a birdie at the 362 yard par 7th hole is even more likely for someone in your group. With a more than generous landing area to land your tee shot on in front of the pond guarding the green, a wedge is all that is required to hit this receptive green and before dropping your putt and taking a stroke under par. 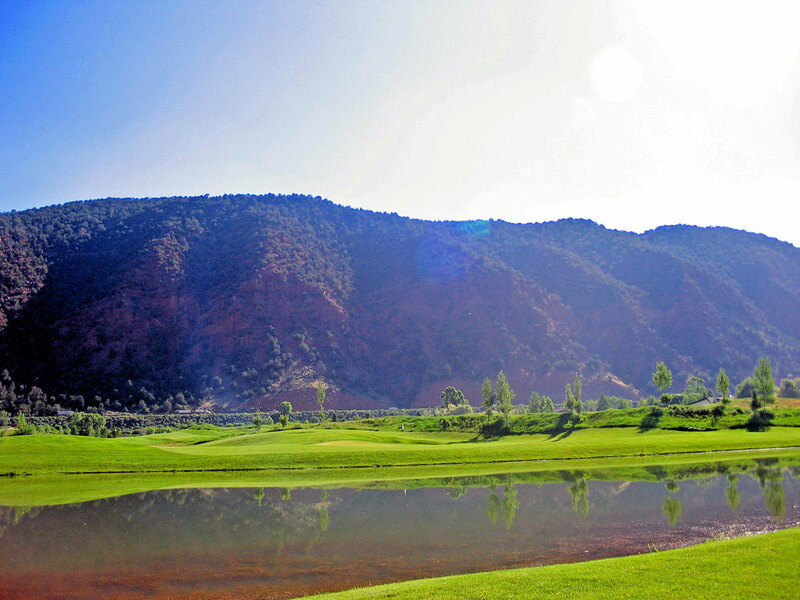 Only a high handicapper will fear the pond that crosses the entire fairway and fronts the green. Bogey Beware: 10th Hole – 457 Yard Par – The par four 10th hole is one of the most challenging holes I've had an opportunity to play. Climbing 457 yards uphill the entire way, a ravine runs the entire left side of the hole and the fairway isn't overly forgiving but your most difficult task of the day will be hitting this elevated green with a C-shaped bunker in front with a long club in your hands. Arthur Hills doesn't let up at the green however as you find a side-to-side tiered green where a 2-putt is a blessing. Good luck, it's even harder in person than I've made it sound here.